Individual/Group therapy. Training & workshops. Public Speaking. Many people begin therapy because they are experiencing sadness, depression, anxiety, grief/loss, or they just can not articulate the reason. They know something is different and they just don't feel "right". Maybe old coping mechanisms aren't as effective and or you seek a different unbiased perspective. Whatever the reason, it is important to find a therapist that you feel comfortable with, and can trust to guide you through the path of self-discovery, awareness, and well-being. A.M.C.S. LLC offers individual, group, and mobile services throughout Pierce/King/Snohomish/Kitsap counties. Each session ranges from 50- 90 minutes. Check out the range of specialties to see the services she can provide. Online therapy or video counseling is an alternative to in-person therapy in an office setting. Online therapy is a great option especially when access to mental health services is limited, and/or distance, physical or emotional challenges, or work/family schedules get in the way of getting support. Online therapy can be through text, e-mail, or a video chat at your convenience. Are you feeling stuck or unfulfilled in your career? Goal-setting, dream-casting, intention-setting, manifesting, whatever you feel comfortable calling it, let's work together to get clear on what you want, and create a path to get you there. Whether it's coaching, facilitating a group, teaching, training, or facilitating employee wellness events for businesses Ashley is available help. Ashley has a great deal of experience working with seniors and their families. If you are feeling overwhelmed by the system she is here to help you navigate through the process. Are you applying for medicare/Medicaid? Are you looking for placements (adult family homes, nursing homes, etc)? If so, Ashley is available to help. If you need one on one assistance or counseling during this time do not hesitate to call or e-mail. Ashley McGirt has experience speaking at schools/universities, prisons, women empowerment events, and for employers. McGirt is able to discuss a range of topics including mental health, racial trauma, and provider burnout. 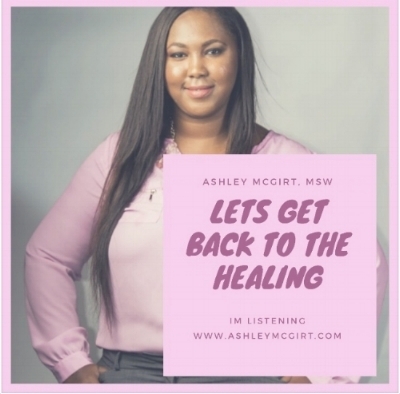 If you have an area of interest that you would like Ashley to speak on please feel free to contact her for a free consulation to discuss your needs and how she can be of assistance.